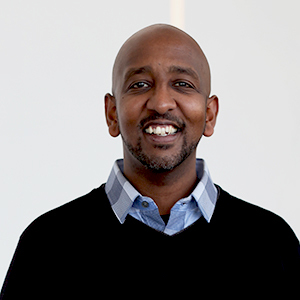 Iyassu joined Kallyope in 2016 as Senior Director and Head of Chemistry to lead our internal and external chemistry efforts, including the development of novel strategies to enable target engagement. Iyassu joined Kallyope from a position as Director in the Medicinal Chemistry department at Merck & Co. There he led programs in the areas of obesity (developing agonists of the central receptors MC4 and BRS3), hypertension, Alzheimer’s Disease, and diabetes (working on activators of the master cellular energy sensor AMPK). Iyassu is the author of 29 papers, and during his 18 years at Merck he contributed to over 30 patent applications and helped to develop 9 clinical candidates. He also led an Early Development Team to usher a clinical candidate through Phase 1 studies. Iyassu completed his Ph.D. at Imperial College, London under the supervision of Dr. David Widdowson. He went on to do postdoctoral research with Prof. Philip Magnus at the University of Texas at Austin where he completed a total synthesis of the antitumor alkaloid pancratistatin.